While there have been many clean energy innovations in the United States, transitioning from a fossil fuel-based energy system has not been straightforward or affordable for the average homeowner. In 2009, Berkeley, CA voters endorsed Measure G, which created the Berkeley Climate Action Plan. The measure encompasses a range of actions to achieve a 33 percent greenhouse gas emissions reduction below 2000 levels by the year 2020 and an 80 percent reduction below 2000 levels by 2050. Cisco DeVries, then Chief of Staff to the mayor, worked with key government staff members, researchers from UC Berkeley, and solar power companies, to create Berkeley FIRST, a program providing homeowners with a cost-effective, long-term financing option to install solar panels on their roofs. The pilot program, installed on thirteen sites, allowed for a better understanding of the funding mechanism and energy savings benefits. This evolved into the statewide California FIRST program, nationally known as Property Assessed Clean Energy Program, or PACE. PACE is a national standard bearer for financing energy efficient upgrades to buildings, with 31 states and Washington D.C. enacting legislation that enables PACE financing schemes. Cisco had a long history working in public policy before transitioning to the private sector as founder and CEO of Renewable Funding LLC, now the leading partner in PACE financing nationally. Designing the Berkeley FIRST program was enhanced by his ability to understand what sectors could best fill certain roles and how to include them in a meaningful way that promoted inclusion and ownership. Cisco helped design the FIRST program for the city of Berkeley as well as carry it forward into a national program. Cisco had a long-term dedication to environmental conservation and clean energy policy, including serving as an official in the U.S. Department of Energy. A cultural shift towards addressing climate change as an immediate public policy issue prompted Cisco to work on this issue in a professional capacity as Chief of Staff to the Mayor of Berkeley. The Berkeley FIRST program derived from both Cisco’s interest in environmental sustainability and his understanding of the dilemma faced by governments of taking on too much financial risk for environmental improvements. Viewing climate change as a complex challenge that needs to be addressed in a holistic manner, Cisco saw the Berkeley FIRST program as a model that could be brought to scale and improve the environment in a cost-effective, sustainable manner. Around the time Berkeley FIRST was being implemented, Cisco transitioned from the Mayor’s Office to work in the private sector. As PACE gained momentum and other cities and counties began looking for clean energy financing solutions, Cisco helped found Renewable Funding LLC in 2008. Having done the initial development of Berkeley FIRST, he saw a business model that could be taken to scale while being sustainable and reducing risks for local government. He also understood the need for both the private and public sectors’ involvement –the public sector is needed to pass appropriate legislation and facilitate the program, while the private sector is needed to conduct the transactions, i.e., financing. From this understanding, he founded Renewable Funding LLC to serve as a financial resource and administrator for PACE programming in CA as well as part of the nationwide push for energy efficient upgrades. Through his work in government, he oriented his interest in clean energy towards the question of the financing and administering such projects, which is where his focus is now as President and CEO of Renewable Funding LLC. Having worked in public policy and government for most of his career, Cisco understood a government’s ability, or inability, to take financial risks when engaging with new, progressive policies. Also from his position as the Chief of Staff, he was aware of the types of funding options available for the program, from utility bills to municipal bonds. He ended up creating Berkeley FIRST’s financing concept from another program in which he was involved – creating an underground utility district. The city was paying up front costs for a group of 100 homes to underground their utility infrastructure. Understanding, in the unique challenges posed by solar and efficiency improvements, he looked beyond government funding to put the financing plan in place. Berkeley FIRST development was funded through grants from the EPA and the Bay Area Air Quality Management District, but the overall objective was to make this a privately funded scalable program, which led to his establishing Renewable Funding LLC. Cisco also had recent prior experience with solar companies. As Chief of Staff, he had worked with solar companies from the community who were trying to increase their sales. His experience in trying to put solar panels on his own home alerted him to the issue of the upfront financing and depleting home equity loan potential. His interactions with the solar companies led to a collaboration during the initial stages to understand their needs and learn from their expertise to create a design and implementation toolkit. Furthermore, he had a relationship with Daniel Kammen of UC Berkeley’s Renewable and Appropriate Energy Laboratory, and believed the lab would be a good partner for research and development, including developing the economic model and early plans, as well as assessing the program’s implementation. Two main factors influenced the planning of the program– it could not cost the city money, nor could it create risk for the city government. 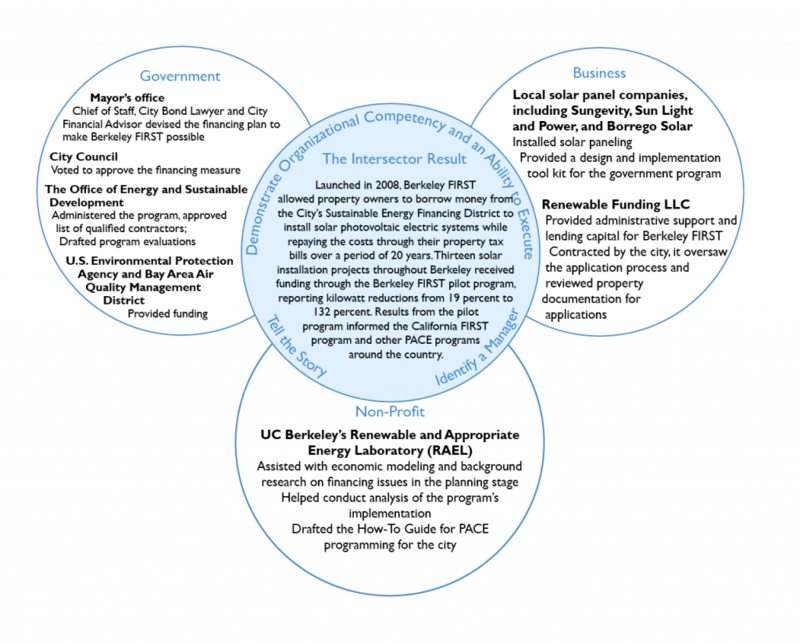 Before the proposal was put in front of the City Council for approval, Cisco worked extensively with the city’s bond lawyer, city financial advisor, as well as collaborated with UC Berkeley’s Renewable and Appropriate Energy Laboratory, to assess how the city could carry out the proposed program and how homeowners could participate. While Berkeley provided the authority and logistical administration of the program, Cisco leveraged existing relationships with partner organizations that brought capacity to provide capital, expertise in feasibility, and professional services in solar panel installation. Partnering with the Renewable and Appropriate Energy Laboratory enabled the program to attract private capital to fund projects in the program. The 13 installations were financed through $336,550 in municipal revenue bonds sold to Renewable Funding. The Berkeley FIRST financing scheme allowed homeowners to borrow from the City’s Sustainable Energy Financing District, and the costs would be repaid on property tax bills over an extended period. As the program has expanded to the state and national level, Renewable Funding LLC provides financing and helps structure financing programs by working with private financial institutions, local and state governments, utility companies, and industry partners. Berkeley’s Office of Energy and Sustainable Development was the agency primarily responsible for the program. It was chosen as the administrator because it is the agency lead on sustainability efforts related to the Climate Action Plan. It was the link between property owners interested in the solar panel program and contractors who wanted to be considered for the installation jobs. It also carried out the evaluation process, in addition to administration. One key purpose of the pilot program was to “test the viability of the financing mechanism.” To this end, the Planning and Development department of the Office of Energy and Sustainable Development conducted initial and final reviews of the program. The Initial Evaluation in 2009 highlights achievements, pitfalls, and unintended consequences of the application process and implementation phase, as well as motivations and opinions of participants and those who were not given a chance to participate. It also highlights why some participants withdrew and decided to finance their solar panels through home equity loans, suggesting that the pilot program interested them but they found home equity loans less expensive. The Final Evaluation conducted in 2010 is focused on providing analysis of Berkeley FIRST to assess the feasibility of the PACE program. Some key lessons learned for scaling up to a larger program were “adding energy and water efficiency measures to reduce paybacks, increasing the scale of programs to attract new and cheaper sources of capital, and developing uniform rules for first position liens to ensure that the projects result in a reduction in overall housing costs.” The Office of Energy and Sustainable Development has made these and additional materials available to the public on its website. 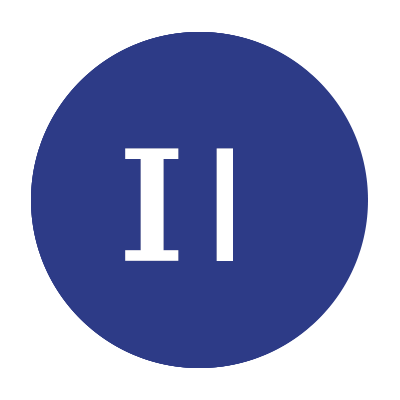 It provides a project overview, a How-To Guide outlining how to create property tax-based financing districts, a frequently asked questions page, and a link to relevant Berkeley’s legislative history instrumental for this initiative. In addition, UC Berkeley’s Renewable and Appropriate Energy Laboratory’s website provides links to all relevant Berkeley FIRST documents from contractor focus group findings to bond purchase contracts. The How-To Guide, developed by RAEL from the Berkeley FIRST program, serves as the guide on how to launch PACE programming in one’s community. The PACE program, generated by the planning and execution of the Berkeley FIRST program. California FIRST, the state-wide PACE program, developed from the Berkeley FIRST program. It is a program of the California Statewide Communities Development Authority (CSCDA) and is administered by Renewable Funding LLC. The National NGO PACENow serves as a “source for information and resources” for a range of actors supportive of PACE programming.